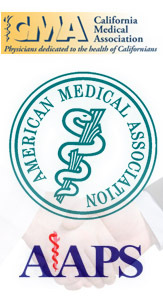 Dr Meyer is active in his local Medical Society and is a member of the California and American Medical Associations. He has been a member of the American Thoracic Society and the American College of Chest Physicians, including the California chapters. He has served in offices and on boards in these societies. He was a founding member of the California Association of Medical Directors of Respiratory Therapy, including the National Association. He is a member of the Association of American Physicians & Surgeons and sits on the Editorial Board of their official journal. Dr Meyer is active in community affairs and a member of the Comstock Club comprised of local business and professional people. He has been president and served on the board of directors of the Sacramento TB & Health Association and was instrumental in effecting its name change to the more relevant Sacramento Lung Association. He has served as chairman of the Board of Education of Town and Country School and expanded the enrollment by 50 percent during his two-year term. Dr Meyer maintains a faculty appointment with the University of California, Davis School of Medicine and serves as a preceptor for medical students. He attends the weekly Medical Grand Rounds at UCD Sacramento Medical Center at which professors from throughout the world present their latest clinical and research findings. He also participates in the weekly Medical Grand Rounds at Mercy San Juan Medical Center, his primary hospital.